4" x 8", 6" x 8" and 8" x 8"
Cobble stone is an older masonry style typically used to create an even surface over an uneven roadway or path. It's a familiar treatment, often present to this day in older cities in England and other parts of Europe. Our Thin Cobble Veneer marries Old World rusticity with clean lines and subdued texture for many traditional or modern European design applications. The color is an antiqued charcoal grey, with rectangular stones tumbled to a smooth appearance. This product is available in three sizes: 4" x 8", 6" x 8" and 8" x 8". Thin Cobbles are most often used as a trim feature around windows and doorways – add a keystone for an exceptionally regal finish. Outdoors, Thin Cobble Veneer can be used to create distinctive pathways, steps or retaining walls as part of an overall landscaping strategy. These can link outdoor living areas, create an access point for garden beds, or create an inviting entrance way to the home. 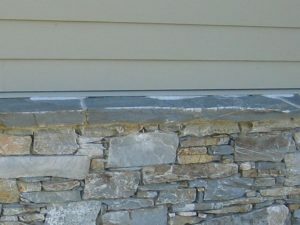 Stone veneer is also great for cladding pillars, gates, and other outdoor building features. Like all of our natural stone materials, Thin Cobble Veneer mixes well with other organic materials – wood, vegetation, stone – to create a pleasing unity around your property. 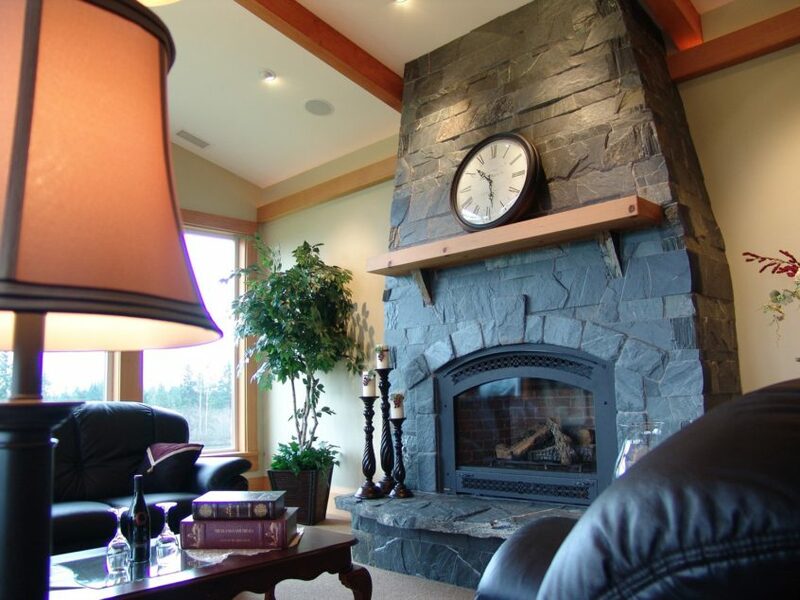 Indoors, Thin Cobble Veneer can be applied to create a dramatic fireplace surround or feature wall for a kitchen, foyer or transitional space like halls or mudrooms. 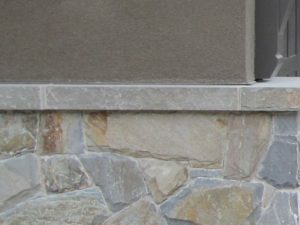 As a trim material this veneer can complement and finish a number of other natural stone materials with different masonry profiles. And because it is thin, this product can also be used as cladding in a wine cellar, recreation room, or even a powder room to create a grotto like effect or rustic cottage feel. Thin Cobble natural stone veneer is a timeless decorative material that is beautiful, long-lasting and durable. Use it on European contemporary, modern or traditional style homes to add both present enjoyment and future value.